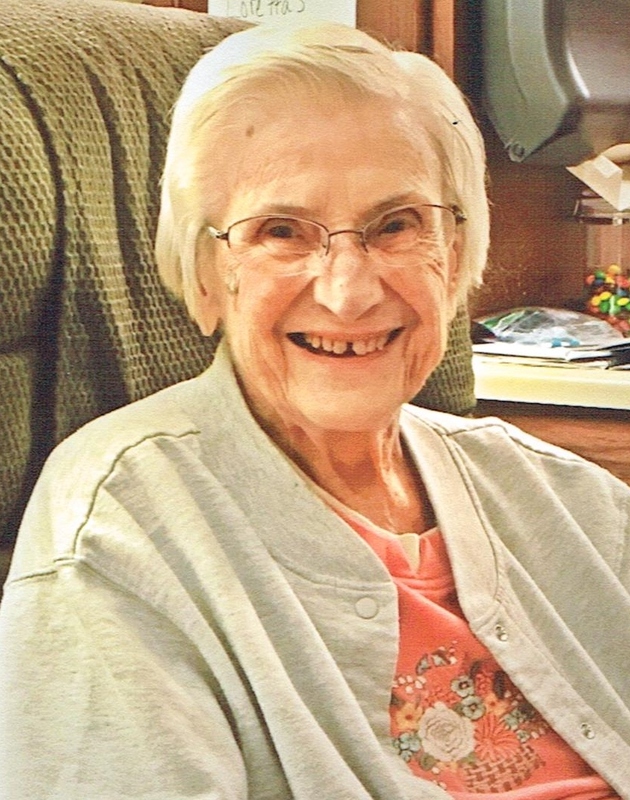 Loretta Marie (DeSchepper) Hammond, 96, passed away at Southridge Healthcare Center on August 29, 2018. Loretta was born on August 3, 1922, in Ihlen, MN to Charles and Mary (Eeckhout) De Schepper. Loretta met Richard Lewis Hammond in Sioux Falls where she was working at the John Morrell & Co., and he was stationed at the Sioux Falls Air Base. He was later transferred to Amarillo, TX at the airbase there. In the fall of 1944 Loretta boarded a train to Amarillo. On September 20, 1944 she married Cpl. Richard Hammond in the Army Chapel. They moved to Sioux Falls in December 1945. Mr. Hammond passed away on August 10, 1994. Loretta has been a member of St. Mary’s Church since 1952. Survivors include two daughters: Janet (Jim) Lahr of Flandreau, and Sherry (Jon) McNitt of Bryant, AR, and one son: Charles (Myrna) Hammond, of Sioux Falls; 8 grandchildren: Jill Lahr Rand, Julie Lahr Schipper, Eric Hammond, Jared Lahr, David McNitt, Jonathon Lahr, Beth Hammond, and Laura Hammond DeGroot; 11 great-grandchildren: Mikayla, Hannah, Dalton, James, Ella, Karissa, Hailey, Nathan, Sara, Finlee and Wyatt. Loretta was preceded in death by her husband, Richard, her parents, one brother, Merle, one sister, Shirlee and one grandson, Jeffrey. Mass of Christian Burial will be 11:00 AM, Wednesday, September 5, 2018 at St. Mary Church.